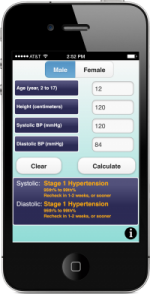 In 2005-08, 3.5 percent of children and adolescents aged 8 to 17 years had high blood pressure/hypertension. According to Healthy People 2020 (HDS 5.2) healthcare providers should strive to achieve best evidence-based practice to reduce the proportion of children and adolescents with hypertension. In 2010, 5.2 million (31%) strokes were in children (aged 20 years old and younger) and young and middle-aged adults (20-64 years), to which children and young and middle-aged adults from low-income and middle-income countries contributed almost 74,000 (89%) and 4 million (78%), respectively, of the burden. Researchers warn that without effective global preventative strategies, this figure will likely continue to rise. The Take2Heart initiative includes promoting innovations to identify children and adolescents who are now at cardiac risk, ensuring the children and adolescents at risk receive appropriate education and treatment, help reduce the need for blood pressure and cholesterol treatment, help reduce obesity and malnutrition by promoting a healthy diet, promote physical activity, and to support a drug-free environment to reduce the future of cardiac risk. The goal of the Take2Heart Program is for every child and adolescent to receive an accurate blood pressure reading each year, and in doing so, lower the cardiac risk of pediatric patients.